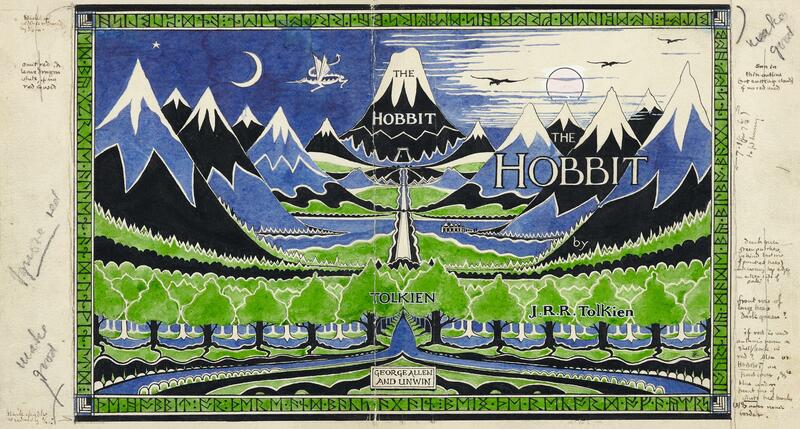 Discussion in '"The Hobbit"' started by Rivendell_librarian, Mar 10, 2019. The first design is rightly regarded as a design classic. I love the way Tolkien breaks the near symmetry with Laketown. It reminds me of Eric Ravilious. The latter, though still attractive, is rather too safe a choice for my liking - but it was USA in the 1930s. Ithilethiel, Miguel and CirdanLinweilin like this. I like them both for different reasons. The first is very stylized with an illustrative bent. The second is very Americana and reminds me of Grandma Moses. I wouldn't call it safe, it's just more Americanized. Rivendell_librarian and CirdanLinweilin like this. Agreed, both are fine, but the stylized one will stand the test of time better. 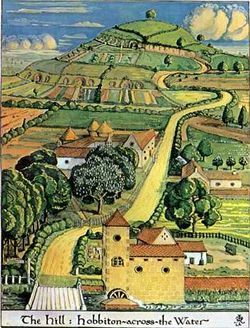 The second illustration is on my paperback edition of The Fellowship of the Ring, from sometime in the 1970s, in the US.